Dr. Lucy Jones is the founder of the Dr. Lucy Jones Center for Science and Society, with a mission to foster the understanding and application of scientific information in the creation of more resilient communities. She is also a Research Associate at the Seismological Laboratory of Caltech a post she has held since 1984. Working with both the public and private sectors, Dr. Jones seeks to increase communities’ ability to adapt and be resilient to the dynamic changes of the world around them. The aim is to understand and communicate where the greatest vulnerabilities lie and what cost-effective actions can be taken to reduce the risk. With a Bachelor of Arts in Chinese Language and Literature from Brown University and a Ph.D. in Geophysics from MIT, Dr. Jones has been active in earthquake research for decades, furthering earthquake risk reduction through seismological research and integrated disaster scenarios. Dr. Jones completed 33 years of federal service with the US Geological Survey in March 2016. Most recently, she was the USGS Science Advisor for Risk Reduction, leading the USGS’s long-term science planning for natural hazards research, and the SAFRR Project: Science Application for Risk Reduction that she had created to apply USGS science to reduce risk in communities across the Nation. In this role, she developed the first American major earthquake drill, the Great ShakeOut, that has expanded to now 43 million participants around the world in 2015. She also led the creation of a national science strategy for all the natural hazards studied by the USGS to promote the science that would better prepare the Nation for future natural hazards and the development of science products that would make the information more accessible to decision makers. She has been one of the prominent public voices for earthquake resilience, conducting thousands of interviews with all kinds of media and appeared on most major news programs, including all national news broadcasts, all the major cable news networks, as well as NPR (All Things Considered, Science Friday, Weekend Edition), PBS, and numerous TV specials about earthquakes and disasters. Dr. Jones began her career researching approaches to earthquake prediction using earthquake clustering and went on to write over 100 published papers on statistical seismology and integrated disaster scenarios. In 1979 while a graduate student at MIT, she was chosen to be the first American scientist to go to China after normalization of relations as a Fulbright Fellow. Her research into earthquake occurrence probability and the short-term probability of foreshock and aftershock sequences created methodologies for assessing earthquake probability that has been the basis for all earthquake advisories issued by the State of California. She served on the California Earthquake Prediction Evaluation Council from 2003 to 2015 and was appointed by the Governor of California to the California Seismic Safety Commission from 2002 to 2009. Her pioneering science was recognized with the Samuel J. Heyman Service to America Medal (one of just eight awarded to federal employees in 2015), the Ambassador Award from the American Geophysical Union, the William Rodgers Distinguished Alumni Award from Brown University, the Lifetime Achievement Award from the Western States Seismic Policy Council, and most recently, the 2017 Distinguished Lecture Award of the Earthquake Engineering Research Institute. Maryann Phipps has over 30 years of experience evaluating, designing and renovating essential facilities in California. Hospital renovations and infrastructure improvements represent the mainstay of her practice. Current clients include UCSF Medical Center, Lucile Packard Children’s Hospital, Stanford Medical Center, Kaiser Permanente, and Sutter Health. Maryann is a recognized expert in the seismic protection of nonstructural components and is the lead technical author of the latest update of FEMA 74 – Reducing the Risks of Nonstructural Earthquake Damage, which was awarded a 2012 Excellence in Structural Engineering Award by the Structural Engineers Association of California. Maryann has developed comprehensive seismic risk mitigation plans for Bay Area high tech firms, retail chains, and hospital campuses. She provided pre-earthquake planning, immediate post-earthquake response, and long-term support to clients following the Loma Prieta and Northridge Earthquakes. Stuart Tom joined JAS Pacific as President of the firm in 2017, after spending more than 30 years in the public sector, filling numerous roles within Building and Fire Departments located in Southern California. Over half of his public sector career was spent in a management capacity as either a Building Official or Fire Marshal. Mr. Tom’s managerial expertise includes plan check, field inspection, Building Department Administration, Fire Prevention, Industrial Waste Management, CUPA, and more. He has been a registered engineer in the states of Washington and California for over 25-years and is very active in code-development of Fire- and Life-Safety Standards in the Building, Residential and Fire Codes at both the national and state levels. Under his guidance in 2013, the City of Glendale adopted its “Back-To-Business” program, which is the first Business Occupancy Recovery Program (BORP) of its type in Southern California. Through a public-private partnership, the program enables local businesses to take preemptive steps to facilitate rapid recovery after a major earthquake. Stuart is an advocate for fiscal responsibility, and public service. He believes that knowledge and education are vital tools that enable staff to protect the community in a cost-effective manner, even when faced with budgetary challenges. Matt Bogaard has over twenty years experience in government and the private sector, in crisis management, disaster planning, and response, business continuity, intellectual property protection, workplace violence prevention, high-risk travel security, threat assessment, special event planning, and investigations. His consulting covers clients in entertainment, video gaming, financial services, manufacturing, and retail industries around the globe in a variety of locations. 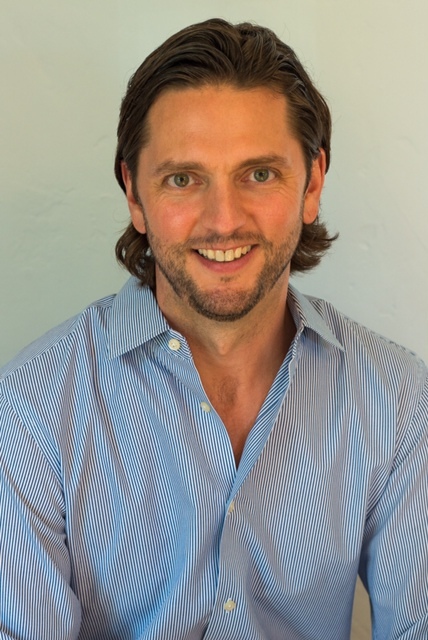 Prior to founding BGI, Matt was Head of Corporate Security at DreamWorks Animation SKG. In this entertainment-technology environment, he oversaw security initiatives worldwide. Before his appointment at DreamWorks, Matt spent fifteen years in law enforcement in a variety of assignments including investigations, recruiting, training, media relations, and community outreach. As a detective, he investigated kidnappings for ransom and highly complex financial fraud, among others. Matt planned and coordinated for visits at DreamWorks of President Barack Obama in 2013 and Israeli President Shimon Peres in 2012. He has coordinated security for major sporting events at Staples Center, London’s Wembley Arena, the USC Galen Center, and the Seattle Convention Center. He continues to work collaboratively with major movie studios in content protection and global, anti-piracy and anti-counterfeiting programs. He is a Certified Business Continuity Planning Professional and an Infrastructure Liaison Officer with the U.S. Department of Homeland Security. He earned an MA in public administration at the University of Southern California, and a BA in sociology at the University of Michigan. He is completing a Ph.D. from USC, with an emphasis on how emerging technology is changing the face of corporate security. Matt is adjunct faculty at USC, and in 2013, he was named to the Security 500 list as a Top Security Leader. Laurence Kornfield served as a Chief Building Inspector in San Francisco for 20 years. He has been active in earthquake hazard mitigation, response, and recovery since the Loma Pieta earthquake in 1989. He initiated and oversaw San Francisco’s recently completed Community Action Plan for Seismic Safety (CAPSS), and is currently developing long-term CAPSS implementation plans. Mr. Kornfield has been the Special Assistant to City Administrator for Earthquake Safety Implementation; City and County of San Francisco; since May 2011. 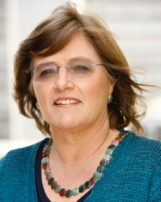 Janiele Maffei joined the California Earthquake Authority as Chief Mitigation Officer in May 2011. She is responsible for the mitigation plan that includes the California Residential Mitigation Program and the development of comprehensive guidelines for the retrofit of single-family dwellings. Janiele is a graduate of UC Berkeley, where she obtained her AB degree in Architecture and an MS in Civil Engineering. Ms. Maffei is a registered structural engineer who has worked in the earthquake engineering industry for over 30 years. Her experience includes the design of new building structures and seismic strengthening of existing structures. Ms. Maffei is past-president of the Northern California Chapter of the Earthquake Engineering Research Institute, EERI. She also serves on the Board of Directors of EERI National as Secretary-Treasurer. She is a member of the Structural Engineers Association of California and served on their Board from 1995-1997. She has extensive post-earthquake reconnaissance experience from the Loma Prieta and Northridge Earthquakes. SAFEq © 2016. All Rights Reserved. Powered by WordPress. Designed by Structural Focus.